The death has taken place, after a brief illness, of the youngest SMA Filipino priest, Fr Bembolio de los Santos, on 7 July 2011. Born on 9 Feb 1974, Fr Bembolio began his studies with the Society of African Missions in the SMA House of Studies in New Manila where Fr James Kirstein (from Cork) was Superior. 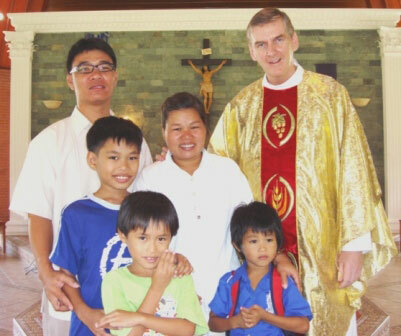 He then attended the International Spiritual Year programme in Silang, Philippines with Fr John Denvir (from Downpatrick, Co Down) at the end of which he became a temporary member of the Society (April 2004). After a Stage programme (in Africa) he returned to New Manila for studies in Theology. Late last year, Fr Bem was diagnosed with stomach cancer. He returned home in January 2011 for treatment. In recent weeks his health deteriorated beyond medical help. He died peacefully at his family home in Himamaylan City, Negros Occidental with his sister and two brothers and other relatives as well as SMA confreres around him. He has now been released from the pain and the struggle and has gone to join his parents in their eternal home. Though a great loss to his family, to SMA Philippines and the wider SMA we are confident of his prayers from his place of rest. Fr Bem will be buried, following concelebrated Requiem Mass, in Himamaylan City on 18 July 2011 at 1:00 pm. 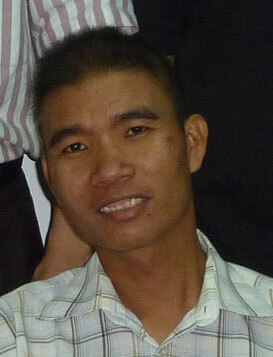 Please remember him, his family and brother SMA priests in the Philippines in your prayers. Our picture shows Fr Bembolio, bottom right with his SMA confreres: Standing, left to right: Frs Jerson Pineda, Roy Marana and Alan de la Guzman (Superior). Seated beside Fr Bem is Fr Julieto Casapao. Read official Obituary notice here.